How do I put a Call on hold and reschedule it? -Have the Technician walk through as much of the call as they can. Even if they have nothing to input, have them continue to the last screen of a job, the Complete screen. 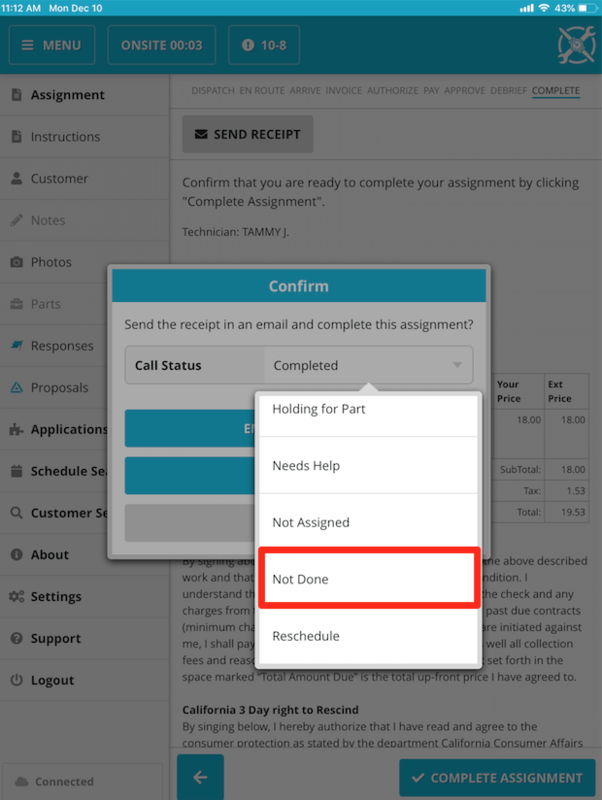 -Press the "Complete Assignment" button, in the lower right corner. -In the Confirm popup box, click the Job Status dropdown menu, select "Not Done"
-Right Click the job you need to reschedule. -Select "for NEXT day", or "Browse" to reschedule it for the same day or a different day completely. Where do I update Job Status/Call Status?